What a great time we had last weekend, spent with some of our favorite people! My niece, Alicia, and her boyfriend, Sean, got here Friday night. Bob and Sean took the boat out to do some wakeboarding while Alicia, the girls and I got to hang out and chat Saturday morning. We watched Mama Mia and I got to clean the fridge – it was satisfying and fun! Saturday afternoon, I attended the Celebration of Life service for Joanne Petersen. She was my sister-in-law, Nancy’s, mother and I wanted to be there to support my nephew, John and nieces, Abby and Nicole. It was a beautiful tribute and, as often happens at a memorial service, I learned many things about her that made me wish I had known her a little better. One of her grandsons put together a beautiful slideshow of her life that made everyone quite emotional, especially when there were pictures of Nancy, who passed away in 2006, way too soon. It was hard to see my nieces and nephews in pain but comforting to know they had such a strong role model in their Grammy, as well as so much love and support from extended family on both sides. When I got home, our best friends, Kelly and Baron, had arrived with their boys, Cooper and Aiden. We spent the rest of the afternoon and evening relaxing and eating pizza while the little kids played in the sandbox. The next morning, we all cheered Baron on as he crossed the finish line at the Pacific Crest triathlon. I think he’s becoming super-human. 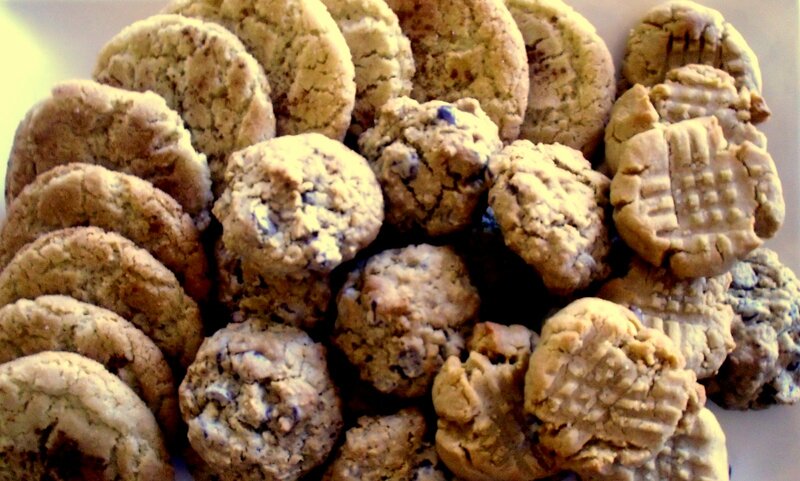 I knew it was going to be a busy weekend and that I wouldn’t be cooking much so I decided to make a bunch of cookies. I can’t stand to not cook or bake something when we have guests. I started with Snickerdoodles because they are Cooper’s favorite. He broke his arm last week and Auntie needed to make him something special. Such a bummer anytime but especially at the beginning of summer!! Then I decided to make Oatmeal Chocolate Chip (Kelly’s favorite and mine too!) and, at Hailey’s suggestion, Peanut Butter so I would be sure to make everybody happy. The following recipes are very basic, but here are a few things that make it easier for me to whip up a batch. First, get all of your ingredients out and measured. I think it goes faster and you’re less likely to accidentally miss an ingredient. Second, make sure your butter is at room temperature. I have a little trick I’ve used since my restaurant days when I didn’t always have the time to allow it to happen on its own, which can take awhile. What I do is put the butter, still in its wrapper, in the microwave for about 20 seconds. Now, you’ll have to play with this a couple times to see what works best on your personal microwave. On mine, I use the defrost setting for juice (random, I know) and check it after 15 seconds. It can take up to thirty depending on how cold the butter is. It should just sort of squish when you gently squeeze it, but you don’t want to let it melt. Of course, you can also just leave it out for a couple hours before you’re ready to bake but, if you master this trick, you don’t have to worry about waiting. Works great for cakes too! Third, and I’m really talking to myself here, please crack your eggs in a separate bowl before adding them to the batter. I don’t care how many eggs you’ve cracked with one hand tied behind your back, the fact is, even you (me) can still get shells in your batter and it’s just not worth it. Believe me, I’m still learning that lesson… This is a picture of Hailey pouring the egg she cracked into the batter – even a 4-year-old knows better! Fourth, don’t over mix cookie batter. The ingredients need to be thoroughly combined but no more or they will flatten and lose chewiness – same goes for brownies. Fifth, chill the cookie batter before baking. It also makes the cookies less likely to become too flat. 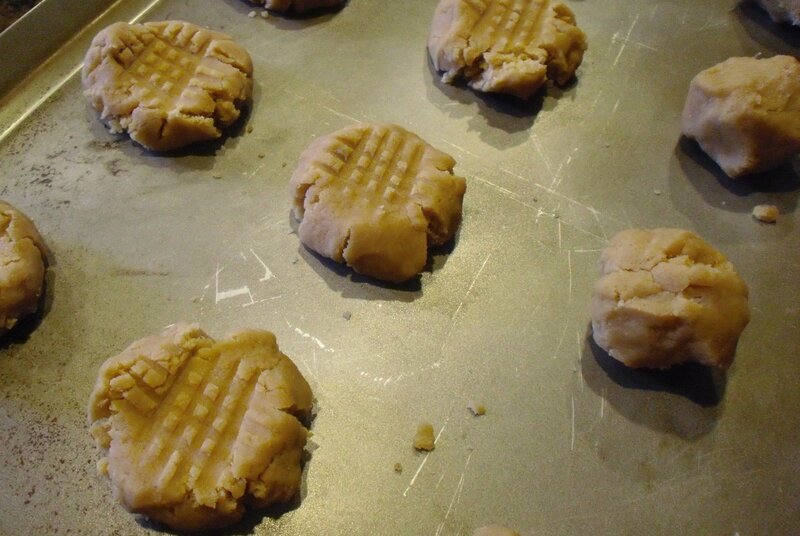 If you’re in a rush, press the batter flat and it will chill faster. I like to bake only as many as we need and keep the rest in the fridge. That way we always have them freshly baked and it keeps me from overindulging! 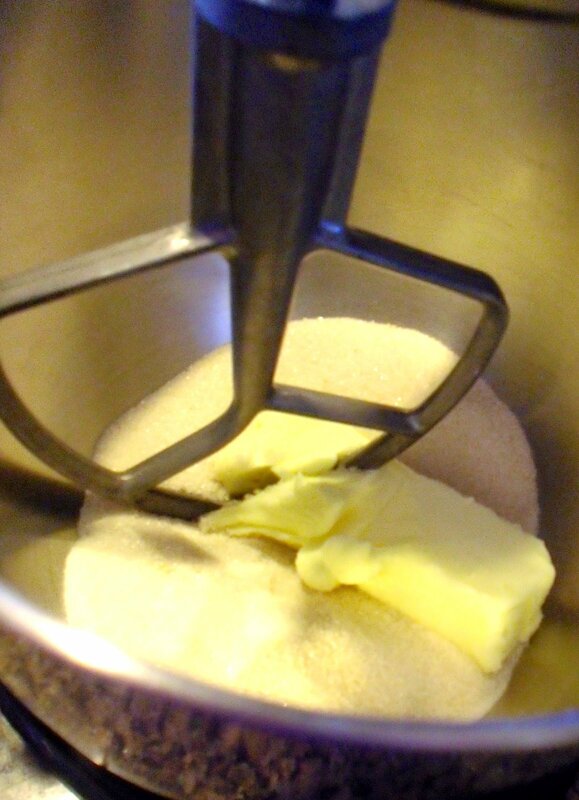 In a medium bowl, with an electric mixer, beat butter, sugar, b. soda, and cream of tartar until combined, scraping sides of bowl occasionally. Beat in egg and vanilla until combined then beat in flour. Cover and chill dough about one hour. 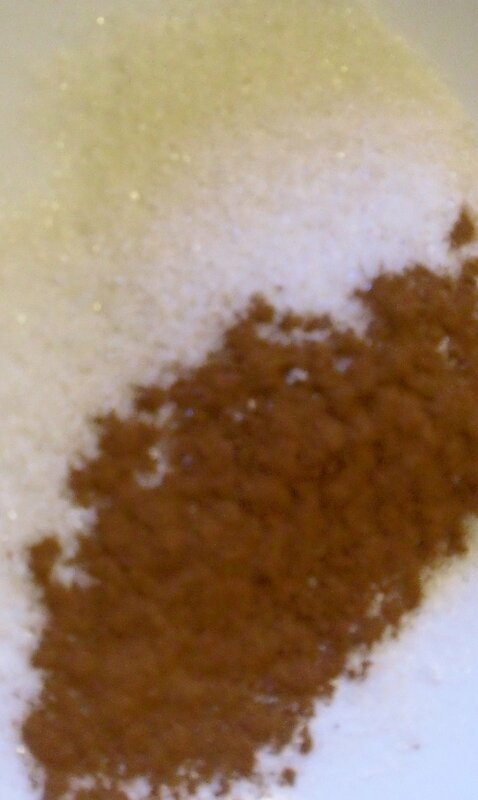 Combine 2 Tb sugar and cinnamon. Shape dough into 1 inch balls. 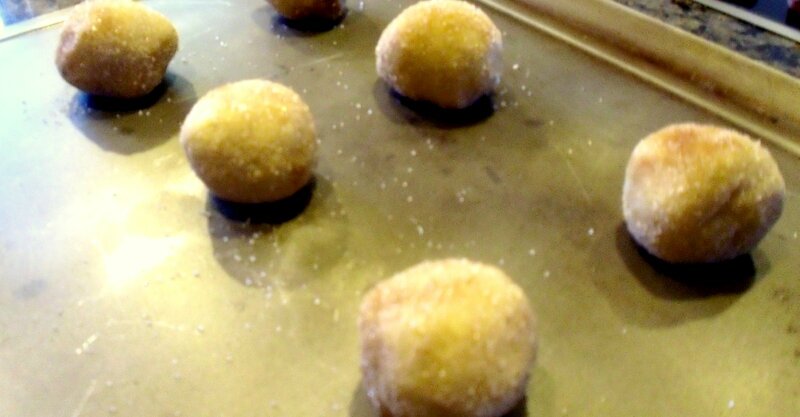 Roll in sugar mixture to coat. Place 2 inches apart on an ungreased cookie sheet. Bake 10-11 minutes or until edges are golden. Transfer to wire rack. Cool. 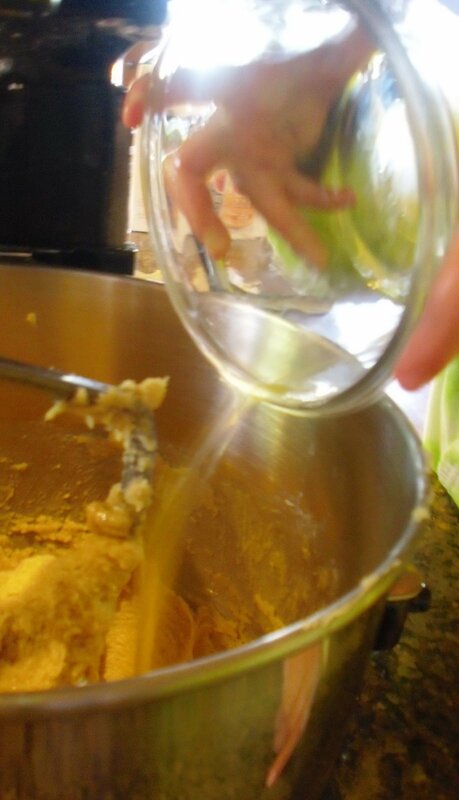 In a large bowl, beat butter and sugars on medium speed of electric mixer until creamy. Add eggs and vanilla, beat well. Add combined flour, baking soda and salt, mix well. 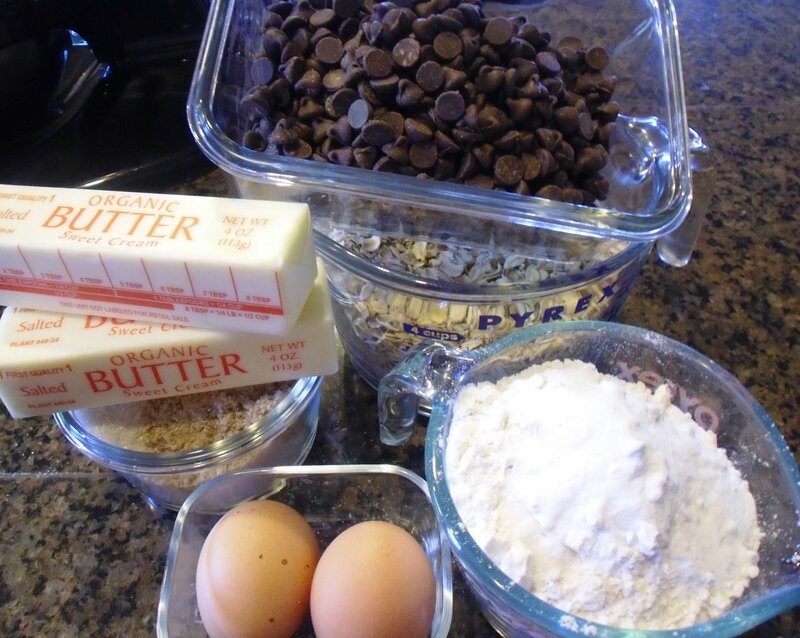 Add oats and chocolate chips, mix well. Roll the dough into small balls. 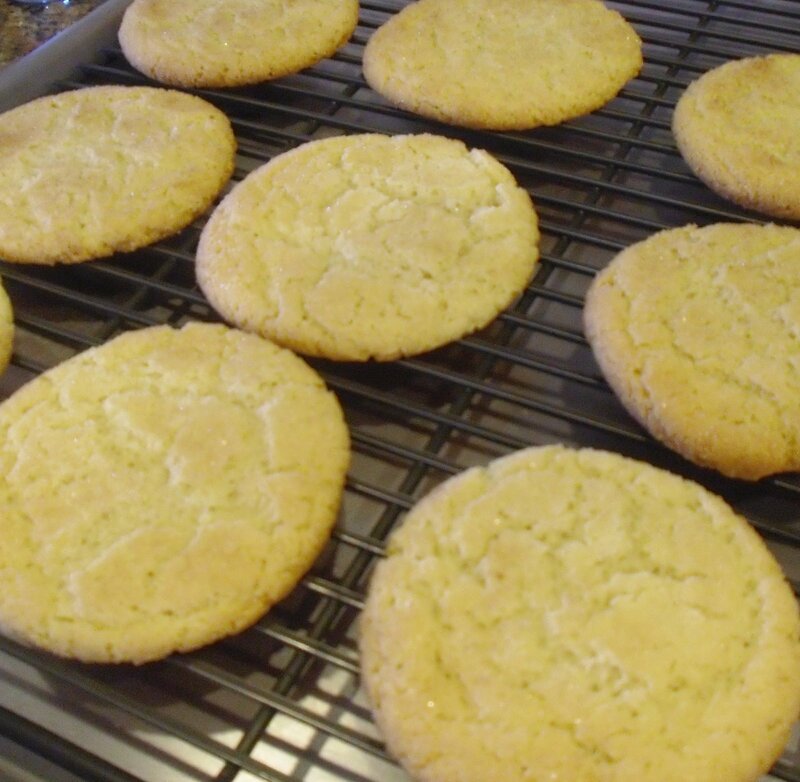 Place them on a greased cookie sheet. Press flat with a fork in a crisscross (pictured below). Bake @ 8 – 10 minutes.